Give us a call today: 613-791-5777 to get more information about trenchless drain repair! If you’re noticing water backing up and you’re constantly using the plunger to try to fight clogs in your house, you might have a serious issue with your drains. Having a professional drain line inspection doesn’t have to involve a serious excavation of your home and plumbing. In fact, there are many options that require no digging at all. How Do You Know You Need Your Drain Repaired? What are Your Options for Drain Repair? Traditional drain excavation and repair is always an option you have available for your drain sewer cleaning. This involves digging a trench to excavate the pipes, find the source of the damage and repair it then and there. In some very rare cases, this may be the only option to properly repair a completely collapsed drain. Drain lining and drain re-lining are options that save you the hassle of a full excavation and may be just what you need if your drains have been damaged by something like invasive roots. These techniques involve inserting a new liner into the older pipe, effectively bypassing the old pipe with no need to dig the whole system up. 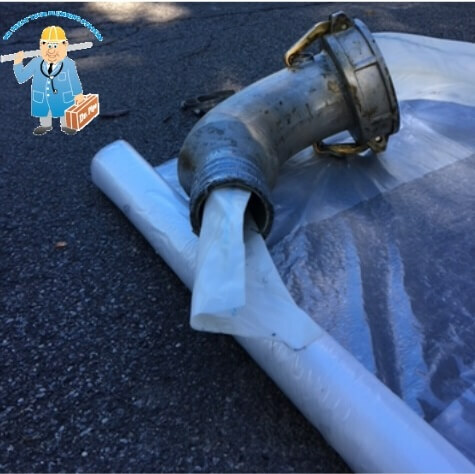 Drain patch liners and local patch repair techniques are similar to drain lining but target specific, damaged sections of the drain pipe, saving some time and money in certain circumstances. Pitch fiber re-rounding is a technique that may be useful if old pitch fiber pipes were used and have since succumbed to the deformities and blistering those pipes are known for. Re-rounding involves reshaping the pipe and lining it so it functions as it’s supposed to. Pipe bursting involves bursting the old pipe out of the way as a new pipe is fed into the line, removing and replacing the old pipe without ever having to dig it. Using a trenchless repair method that doesn’t involve digging can save you time and money in the long run. There’s less disruption to your home and yard, less cost when you factor in not having to repair all that potential damage to your landscaping or driveway and in many cases, it can be done much more quickly. If your drains are in need of repair in Ottawa, we offer you the time saving and money saving option of trenchless drain repairs that will make your repair go much more smoothly. We treat your home the way we expect workers to treat our homes. That means coordinating with you from the moment you call for a quote all the way through the final work we perform. Our team will cover and clean everything in their work area so you don’t have the added stress of a mess to tidy up and we’ll finish as quickly and efficiently as possible.